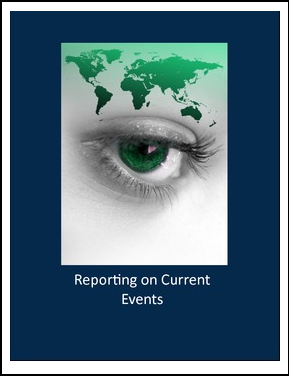 Help your students become responsible world citizens by allowing an opportunity to study current events in other countries on a regular basis. This could be a weekly, monthly, semester or year long project for any classroom! This activity is perfectly suited for a government class, world history, social studies or foreign language class. But I can see this research being done in so many different classes. It would be a wonderful activity for a speech/public speaking class too. My students are having a blast this semester with this activity. They know that every Thursday their Current Event Article is due, and they get to share the articles they found for the week with their classmates. I also offer a few points of extra credit for students who share their articles in front of the class-- You wouldn't believe how many students clamber to share their articles! And they find the most interesting news!! They're not only keeping themselves and their classmates up to date on worldnews, they're helping to keep ME up to date! My only regret is that I didn't start using this at the beginning of the school year! Join me on Facebook to connect with World Language Teachers around the globe!